Today's photo subject is pretty cool. 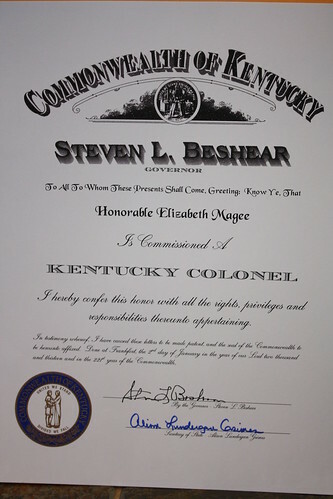 I happened to receive this awesome piece of paper in the mail yesterday, informing me that I am now a Kentucky Colonel. So awesome!